Online food and grocery market is estimated to be worth $3.1 billion in Australia, growing at a rate of 12.5 per cent annually. While impressive, this figure only represents about 3 per cent of total supermarket sales. A key barrier to the penetration of online food and grocery shopping in Australia is time and distance. 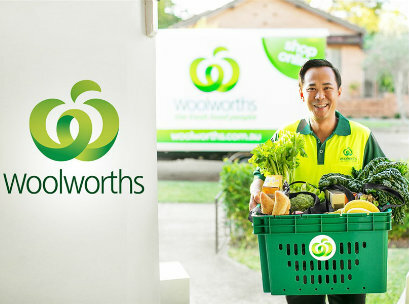 After successful trials in Sydney and Melbourne, Woolworths today announced the further rollout of its innovative ‘on-demand’ grocery delivery service, ‘Woolworths Delivery Now’, in partnership with Yello. The service will allow over 300,000 Brisbane shoppers access to grocery deliveries in under two hours, seven days a week, from six local supermarkets for a delivery fee of $19. It is further claimed deliveries in Sydney and Melbourne are averaging around 70 minutes. Shoppers will be able to select up to 30 handpicked items from a range of more than 12,000 products. A recent survey conducted by the Australian Bureau of Statistics found that Australians are feeling more time-poor than ever, with 45 per cent of women and 36 per cent of men feeling “always” or “often” rushed, or “pressed for time”. Research has also identified that almost a quarter of shoppers are willing to pay a premium for same day delivery. Something supermarkets will leverage in order to get these type of schemes up and running in a commercially viable way. Consumers’ expectations are changing. Speed is becoming a point of difference, a new front of competition, between retailers. But many Australian retailers are lagging behind. When a quarter of customers are willing to pay a bit extra to have their online purchases delivered that afternoon, it is surprising that more retailers are not investing in the “last-mile” – from the warehouse or store to the customer. The advantage physical supermarkets always had over online was immediacy. Walk in, grab it and go. While online shopping had an endless range of choice and often lower prices, shoppers had to wait. But “same day” and “two hour” delivery undermines that, combining the convenience of online shopping with the immediacy of bricks n’ mortar. New retailers and logistics companies are selling us time and convenience just as much as they are selling products or services. Take ‘Urb-it’ for example, the delivery provider operating in Sweden, Paris and London, uses sustainable delivery solutions that include walking, biking or using public transport to hand-deliver items to customers. Many supermarkets in the US and UK have teamed up with third party providers like Lyft and Uber to achieve a same-day delivery. British supermarket Sainsbury’s has recently begun trialing an app that allows shoppers to order up to 20 products and have them delivered in an hour. Here in Australia, innovate firms like Passel and Yello are removing the ‘pain points’ between buying your groceries and having them delivered; and supermarkets are moving quickly to turn the threat of online into an opportunity for growth. Take Coles, which recently expanded its UberEats trial across Sydney stores. Australian retailers may not be able to compete against the likes of Amazon on product range and price, but speed may level the playing field. In most cases today, Australian retailers are still pushing products to stores from distribution centres, unpacking them, only to have those same products re-picked, re-packaged and forwarded to a customer’s home. This is not cost effective or a long-term viable model to ship smaller, individual orders to customers’ homes. What Australian supermarkets are now investing in is fulfilment centres. Coles recent announcement of their exclusive partnership with third party logistics provider Ocado to build fully automated fulfilment centres is a step in the right direction. Ocado will manage their online grocery operation, just as it does for grocers in Sweden, the US and Canada. But it’s not just speed that can give an advantage. In the past, delivery was dominated by a few companies, but today there are a myriad of new players exploring a variety of new technologies such as algorithm and analytics-driven apps, drones, delivery robots and driverless vehicles to meet the demands of time poor consumers. Such technologies can arrange not only when a product is delivered, but how it arrives in a customer’s hands – with flexible locations and timing. Customers’ expectations for flexible, fast and cheap same-day delivery is both a threat and an opportunity for Australia’s major supermarkets. It is currently unclear who will win this race, but supermarkets must wake up to the demands of customers. Their competitors already have. Woolworths Delivery Now extended to Ascot, Ashgrove, Bulimba, Camp Hill, Paddington and Spring Hill. The sudden resignation of Kaufland boss Patrick Kaudewitz has sparked a leadership reshuffle at the German hypermarket, with reports on Tuesday that the CEO of sister company Lidl has also stepped down unexpectedly. As a result, the two chains which control over 11,000 stores and make upward of €90 billion in annual sales are currently without long-term leadership. Last month Kaufland CEO Patrick Kaudewitz departed Kaufland with immediate effect after 26 years in the business, citing personal reasons. Less than three weeks later, Lidl CEO Jesper Hojer resigned after nearly two years leading the discount retailer. 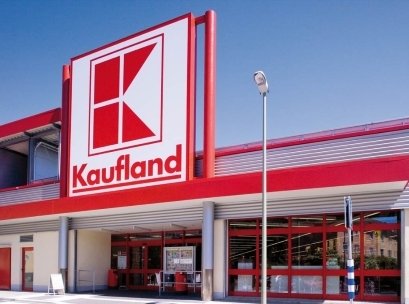 Kaufland, which is already deep into its Australian expansion, was quick to make changes to its top team. Klaus Gehrig, the CEO of Schwarz Group which owns both Kaufland and Lidl, has provisionally taken over the top position at Kaufland, and has appointed a deputy for the first time, in the form of Gerd Chrzanowski, Stimme.De reported. “With these measures, we are setting the structural course for the future of our corporate group,” Gehrig wrote in a blog post since taking up the role of acting chief. In the weeks leading up to Hojer’s departure from Lidl, he was appointed to the board of Kaufland, alongside Kaufland Head of Administration Frank Schumann, CFO Andreas Strähle, IT Director Christian Müller, chief digital officer at Schwartz Rolf Schumann, head of Schwarz Central Services Thomas Kyriakis, and production director Jörg Aldenkott, who manages the company’s own mineral water, ice cream and chocolate production facilities, Stimme.De reported. Melanie Köhler, who established her career with Lidl and later with the group, was the only woman appointed to the board. Meanwhile at Lidl, purchasing director Ignazio Paterno has been named as interim chief executive. Hojer’s departure marks the second chief executive resignation for Lidl in as many years. Sven Seidel left the top job in 2017 after less than three years. It turns out that American breweries create billions of pounds of this so-called “spent” grain, like barley, wheat, and rye, every year! Spent grain is an unavoidable byproduct of the brewing process and has always gone to lower uses like soil amendments and animal food. 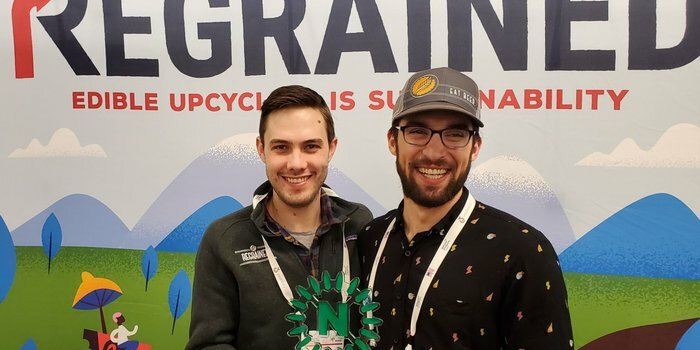 That is, until Dan and Jordan found a better use -- craft a versatile flour, SuperGrain+ and feed people! Not only is ReGrained reducing food waste on one end, but it’s providing nutrition on the other. Dan: While homebrewing underage at UCLA, I found that each batch of beer left me with heaps of so-called “spent” grain. I discovered that this grain is hardly “spent” at all - it is a concentration of the barley’s fiber, protein and other nutrients - “super” grain is more like it. So, I teamed up with lifelong friend Jordan Schwartz, and together we set out to elevate this overlooked but awesome ingredient to be recognized as the versatile hero it is. The beauty of edible upcycling is that it makes it possible to have your beer, and eat it too! Dan: Barriers to market are lower than ever before. The hardest part is having the courage to act on your ideas. Our first products tasted like a good idea -- but, because we didn’t let perfection impede progress, we successfully put our concept out there and were rewarded for that. That said, don’t go at it alone, find a partner, and just as importantly, ask for help from your elders early and often. Conclusion: For a long time we’ve been saying, “Vote with your purchases.” Neilsen has confirmed that shoppers prefer products that are sustainably made. How about rescuing and upcycling “food waste”? We’re “voting” for ReGrained! Woolworths and Aldi have increased their share in Australia’s grocery market, while Coles and IGA have slipped slightly, according to the latest research from Roy Morgan. 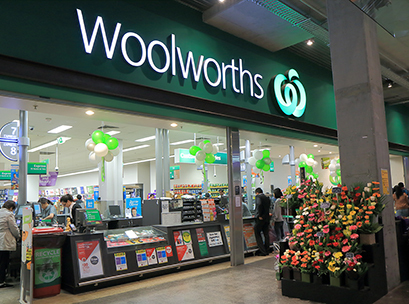 Woolworths remains Australia’s top grocery retailer, increasing its share of the market to 34 per cent in 2018, up 1.4ppts, while a newly independent Coles now has a share of 27.6 per cent of the total grocery market, down 1.6ppts on a year ago. Aldi grew its grocery market share to 11.4 per cent in 2018, up 0.5ppts from a year ago. While Other Supermarkets outside the ‘big four’ such as Foodland and Foodworks have increased their share to 9.1 per cent, up 1.2ppts. IGA’s grocery share was down 0.4ppts to 7.1 per cent. Woolworths dominance in key fresh food categories has helped its strong lead. The retailer holds the largest market share in dollar terms for fresh meat, fresh deli, fresh bread and fresh fruit and vegetables ahead of Coles, Aldi and IGA supermarkets. The big two currently dominate Australia’s fresh food markets holding over 50 per cent of each of the fresh food markets. Michele Levine, Roy Morgan CEO, said Woolworths’ impressive performance place it in a strong position to deal with the entry of German hypermarket Kaufland into Australia’s $100 billion+ grocery market. “The demerger of Coles Group from industrial conglomerate Wesfarmers in the December quarter of 2018 means Australia’s second largest supermarket chain now has the opportunity to refocus on its core business ahead of the imminent arrival of German retailer Kaufland,” Levine said. Kaufland is following in the footsteps of fellow German retailer Aldi with plans to open six hypermarkets in Victoria over the next two years and more stores Australia-wide in the future. Levine also expects the anticipated rollout of ‘Amazon Fresh’ in the Australian grocery market in the near future to further disrupt the market. The online retail giant launched a food and grocery segment (excluding fresh food) late last year. Woolworths and Coles have been in a standoff with global food manufacturers after refusing to approve price rises for popular products, such as porridge oats and cat food, triggered by rising commodity costs. Nestle has stopped supplying its market-leading Uncle Tobys oats and Vita Brits to Woolworths after Australia's largest supermarket chain refused to pass on a 6 per cent price rise late last month. Mars Petcare stopped supplying both Woolworths and Coles with its market-leading pet food brands including Whiskas, Pedigree, My Dog and Dine after failing to secure price rises. The disputes have left large gaps on supermarket shelves and triggered a torrent of complaints from customers, who have voiced their anger on social media. "We have a supply issue with Woolworths which we’re both working hard to resolve to make sure that they are available there soon," a Nestle spokeswoman said on Thursday. Woolworths said it had shortages of some a small range of products and was working with suppliers to address availability issues. It expected to see stock back on shelves soon. Coles said an availability issue with a supplier had led to some pet-food products being out of stock over the past week. "The good news is that the majority of products are now back on shelves in most stores, and we expect all stores to be fully stocked in the coming days," a Coles spokesman said. Industry sources say other suppliers with less market clout than Nestle and Mars have been refused price rises – with Woolworths taking a tougher approach than Coles – and had been forced to absorb rising costs for raw ingredients, energy, labour and insurance. "Many companies, especially small ones, have not been able to lift prices at all for five or six years," said grocery industry adviser Jean-Yves Heude, chief executive of ChessMate Consulting, which helps family companies. "If you're a big brand, at the end of the day [stopping supply] is the only way you get through," he said. The standoffs have raised concern about the long-term outlook for food and grocery manufacturing in Australia following seven years of deflation. This week Kimberly-Clark revealed plans to close its Huggies nappy plant at Ingleburn in Sydney's west, with the loss of 200 jobs, and shift manufacturing to Asia. Japanese brewer Kirin is struggling to sell its Lion Dairy & Drinks business after years of poor returns, Coca-Cola Amatil tries to sell loss-making fruit and vegetable processor SPC and Campbell Soup tries to offload Arnotts Biscuits after pressure from shareholders. 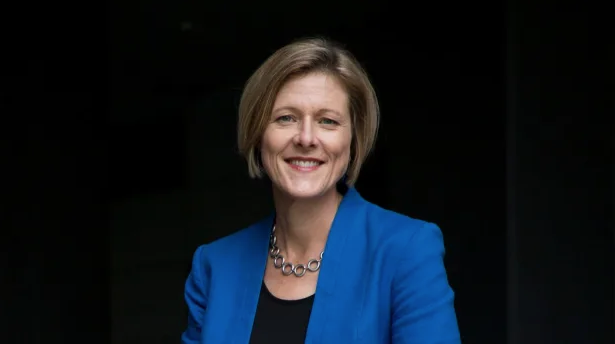 Australian Food and Grocery Council chief executive Tanya Barden said the standoffs reflected the intense pressure on manufacturers after years of deflation and rising costs. "It's really a sign of desperation when companies get to that level where they are not able to supply at their old prices," Ms Barden told The Australian Financial Review. "We're seeing significant input price increases as a result of the drought – wheat and barley prices have doubled over 2017 and 2018, milk production is down and farm-gate prices are rising. The currency is down so imported ingredients are going up in price, and some energy prices have doubled or tripled, so there are significant cost increases on the back of six or seven years of retail price deflation," she said. "Industry has been doing a lot to mitigate these cost increases but it's got to a point where they're not able to absorb this level of cost increase. "A company doesn't make that decision [to stop supply] lightly – it's in the consumers,' suppliers' and retailers' best interests to have products on shelves," she said. Uncle Tobys said drought and frosts around the Victorian town of Wahgunyah, where it sources most of its oats, had led to supply shortages and higher prices, with oats and other grains up 37 per cent and fruit and nuts up 10 per cent. The company absorbed some costs and tried to raise prices an average 6.3 per cent last month. Coles is understood to have accepted the price rise but Woolworths refused, prompting Uncle Tobys to stop supply two weeks ago. Ms Barden said the issue also highlighted the need for changes to the Food and Grocery Code of Conduct to ensure negotiations between retailers and suppliers were more fair and transparent. Last week the Federal Government said it would accept 13 of the 14 recommendations by former Australian Competition and Consumer Commission chairman Graeme Samuel, who led a review of the code last year. Under the proposed changes, supermarkets could no longer force suppliers to disclose commercially sensitive information during negotiations, and there would be a 30-day limit on negotiations. The government has also agreed to amend good-faith provisions and include the principle of fair outcomes rather than just fair process. The third major change concerns dispute resolution. Code arbiters appointed by retailers would have to make binding decisions, giving suppliers who raise disputes more confidence in the outcome. Mr Heude said the changes were good but did not go far enough and suppliers should not have to hand over information on commodity costs and other inputs to justify price increases. "All data is [commercially] sensitive, even external data," he said. "The price you pay as a supplier is always different to the price in the market, due to third parties and negotiations. "If we don't fix this, it's almost like we've missed this opportunity and ... if we have to wait another three or five years [for the next code review] the risk is many small Australian companies will go bankrupt if they have no opportunity to increase prices." However, Ms Barden said the proposed changes were "very positive". "We''ll be looking to make sure that in the drafting of the provisions the solution does adequately address the problems the government has identified around that price negotiation process," she said. IKEA Australia's newest outlet looks nothing like the maze-like big boxes that have made the furniture and homewares retailer a destination for homemakers around the world. There are no Klippan sofas, Billy bookcases or Arstid table lamps for immediate sale and at just 100 square metres, the store in Sydney's northern beaches is a fraction of the size of IKEA's 30,000-square-metre flagship at Tempe in Sydney's south. Rather than filling their trolleys, customers can design kitchens and wardrobes with the help of IKEA consultants and test mattresses before ordering and buying online through in-store touch-screens or on their mobile phones. The "home planning studio" is the first of more than 30 outlets to open in Australia in the next few years as the 76-year-old retailer responds to changing shopping habits and moves closer to its customers. "We want to be much more agile than we have been before," says IKEA Australia country manager Jan Gardberg. "If we just rely on our stores and expect people will travel to us constantly or rely on online, that's not going to happen," he said. "This is something in between." IKEA will test the first planning studio, which opens early next month in Westfield's Warringah mall, before rolling out the concept to other major cities. Mr Gardberg sees scope for about eight planning studios in Sydney and Melbourne and a handful in Brisbane and Perth. "If it becomes a success and people like it, our ambition is to populate this in various places in Sydney, Melbourne, Brisbane and Perth – it might even be that we test something in Darwin and Cairns," he said. IKEA also is working on plans to open about 20 5000-square-metre stores carrying about 4500 products – half the range available in a full-size store. They will be in shopping malls and will be supported by IKEA's online store, which sells about 9000 products. "Not everyone can come to one of our [flagship] stores ... so from a convenience point of view, it's better to place ourselves into existing shopping malls," Mr Gardberg said. "This will allow us to come into places where you can't come in with a 25,000-square-metre store – convenience for the customer is the guiding word for us here." IKEA's Australian sales have almost doubled since 2014 and exceeded $1 billion for the first time in 2017, buoyed by the $170 million acquisition of IKEA's West Coast franchisee, Cebas. However, its share of the home furnishings market languishes about 5 or 6 per cent below that of Harvey Norman and Greenlit Brands' (formerly known as Steinhoff Asia Pacific) Freedom and Fantastic chains. Mr Gardberg, who took the helm in 2017, aims to more than double sales and market share in the next decade by reaching more consumers through "touch points", building IKEA's two-year old online business and augmenting its do-it-yourself offer with new services. New outlets will include planning studios and small stores combined with branded online pick-up points and pop-up shops with six to eight-month leases. IKEA launched its e-commerce offer in November 2016, starting in Tasmania, the Northern Territory and northern Queensland, before launching in Sydney in November 2017. 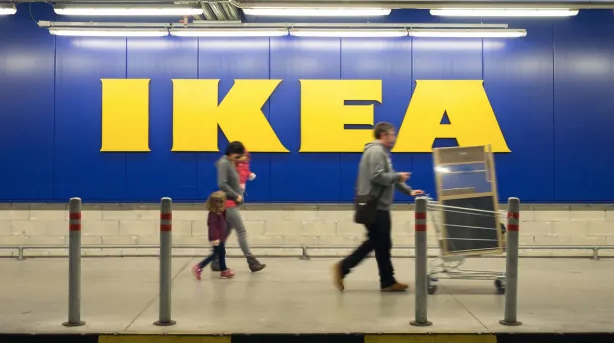 The online store now reaches almost all Australians and e-commerce accounts for about 13 per cent of IKEA's annual sales, which rose 14 per cent to $1.39 billion last year. "We have had the fastest [online] take-up rate than any other IKEA country," Mr Gardberg said. "I think that has something to do with distances and where people live and where they work, and Sydney and Melbourne and Brisbane traffic," he said. "It takes an effort to come to one of IKEA's 10 stores and the average visit is 3½ to four hours, so it becomes more of a planned purchase. "Now with online the convenience is there, that's why it has picked up so tremendously in Australia." Cereal maker Kellogg has agreed to sell its well-known cookie brands, including Famous Amos, and fruit snacks business to confectionery giant Ferrero for US$1.3 billion. 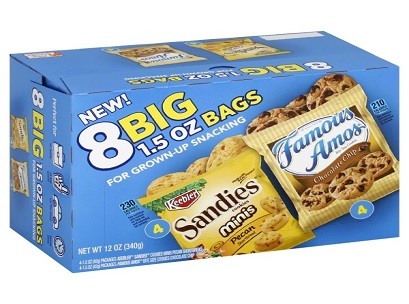 As part of the deal Ferrero will acquire iconic cookie brands Keebler, Famous Amos cookies, Mother’s and Murray sugar free cookies and Little Brownie Bakers (Girl Scouts cookie supplier), as well as Kellogg’s fruit snacks business, including Stretch Island and Fruity Snacks and Keebler’s ice cream cones and pie crust products. In 2018, these businesses recorded net sales of nearly US$900 million and operating profit of approximately US$75 million. “This divestiture is yet another action we have taken to reshape and focus our portfolio, which will lead to reduced complexity, more targeted investment, and better growth,” said Steve Cahillane, Kellogg chairman and CEO. Cahillane said it wasn’t an easy decision to divest these brands, but is pleased that they are transitioning to an “outstanding company with a portfolio in which they will receive the focus and resources to grow”. Giovanni Ferrero, executive chairman of the Ferrero Group said Kellogg Company’s cookie, fruit snack, ice cream cone and pie crust businesses are an excellent strategic fit for Ferrero as the company continues to increase its overall footprint and product offerings in the North American market. “With this transaction, I look forward to bringing many iconic Kellogg brands into the Ferrero portfolio, to welcoming our new colleagues to the extended Ferrero community, and to continuing Ferrero’s strong track record of growing brands, as we have through our successful acquisitions of Fannie May, Ferrara Candy Company, and the former Nestle US confectionery business. We have great respect for Kellogg, its legacy and values, and are proud that Kellogg has chosen Ferrero as a good home for these businesses,” he said. Ferrero will also acquire Kellogg’s six owned US food manufacturing facilities in Allyn, Washington, Augusta, Georgia, Florence and Louisville Kentucky, and two plants in Chicago, Illinois. This also includes a leased manufacturing facility in Baltimore, Maryland. “We are acquiring a portfolio of well-established brands that consumers love, with very strong market positions across their respective categories, allowing us to significantly diversify our portfolio and capitalize on exciting new growth opportunities in the world’s largest cookies market,” Lapo Civiletti, CEO Ferrero Group, said. The transaction is expected to be less than 5 per cent dilutive to Kellogg’s projected 2019 currency-neutral adjusted earnings per share, the company said. Kellogg said it will retain the rest of its North America snacking businesses, which includes crackers, salty snacks, wholesome snacks and toaster pastries brands. “The acquisition presents an exciting opportunity to advance our strategic growth objectives and we look forward to sharing our plans for the business with our customers, suppliers and other partners in the coming weeks and months, and welcoming our new colleagues from Kellogg,” Todd Siwak, CEO Ferrara Candy Company, said. 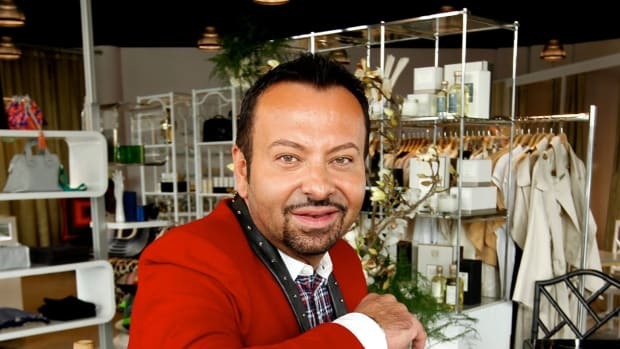 "Daigou queen" Livia Wang and former Witchery executive Henry Lee have come to the rescue of Napoleon Perdis, offering to buy his eponymous make-up empire, which went into voluntary administration in January. Ms Wang and Mr Lee have formed a private investment company, Kuba Investments, which proposes to take control of Napoleon Perdis Cosmetics through a deed of company arrangement (DOCA). The value of their offer has not been revealed, but administrator Simon Cathro of insolvency firm Worrells said on Thursday the proposal would result in a better return to creditors than if Napoleon Perdis were liquidated. Creditors, who are owed more than $22 million and include the ANZ bank, the ATO, Australian Pharmaceutical Industries and Myer, are due to meet on April 8 to consider whether to accept the DOCA. Mr Perdis, who founded the business 24 years ago, and his wife Soula-Marie Perdis support the deal and have agreed to transfer their shares to Kuba as part of the proposal. They will continue to play a role with the company as creative directors. Other key stakeholders including API's Priceline chain, which inked a nationwide distribution deal with Napoleon Perdis last year, also support the proposal. It is understood Ms Wang and Mr Lee plan to accelerate Napoleon Perdis's overseas expansion. Ms Wang is known as the "daigou queen" for her work promoting personal shoppers, who buy goods for consumers in China. Ms Wang, 38, is managing director of Access Brand Management, which manages and represents Australian and international brands in the China market. Mr Lee, 49, is a former Witchery, Mimco and Country Road executive and has more than 20 years' experience in fashion retailing and finance industries. For the past four years he has been chief executive of Postie Group, part of Steinhoff South East Asia's Pepkor unit, which also owns department stores Harris Scarfe and Best & Less. "Kuba’s investment will ensure loyal customers can continue to purchase Napoleon Perdis in over 700 storefronts and keeps more than 250 existing staff members in employment," Ms Wang said. "We will leverage off the restructure undertaken by Worrells and continue to work closely with Napoleon, and the teams, to build the brand both in Australia and overseas”. Worrells continued to trade the Napoleon Perdis business after it went into administration but closed half its 56 stores. Documents lodged with the Australian Securities and Investments Commission last month revealed Napoleon Perdis had been teetering on the brink of insolvency for almost a year before it went into voluntary administration. 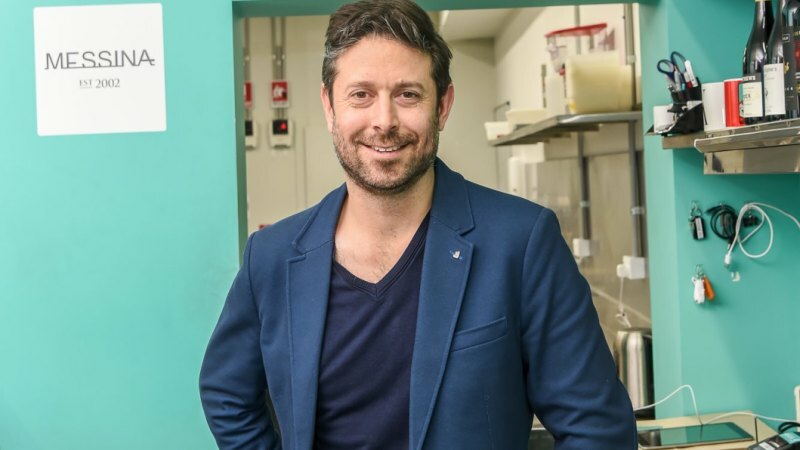 Mr Perdis had been looking for buyers or investors for more than 18 months, appointing Sydney-based investment bank Allier Capital in late 2017 to find investors willing to fund the company's expansion plans, which included re-entering the United States market and expanding into Asia, the Middle East and Europe. However, it is understood potential investors were spooked by the rapid growth of Mecca and Sephora, which dominate the $2.4 billion premium beauty market. Woolworths Group has announced the completion of the sale of its petrol business to EG Group, with proceeds from the sale to be returned to shareholders via a $1.7 billion off-market buy-back. The Buy-Back offer period will open on April 16 to eligible shareholders in Australia and New Zealand. “We remain focused on maximising shareholder value and as foreshadowed at our half-year 2019 results, we will return the proceeds from the Woolworths Petrol sale to shareholders, Woolworths Group Chairman,” Gordon Cairns, said. The sale is likely to result in a gain of approximately $1.1 billion after tax, to be recorded as a significant item in the F19 results. Following a BIG W network review, Woolworths plans to close 30 BIG W stores and two distribution centres over the next three years. The supermarket giant will take a $370 million hit related to the closures in its full-year results. A warehouse in South Australia will close in the 2021 financial year, with one in Warwick, Queensland, to follow two years later, but the retailer didn’t specify which stores would close or how many jobs would go. As foreshadowed at our half year 2019 results, while the recovery in trading for BIG W is encouraging and there remains further opportunity for improvement, the speed of conversion to earnings improvement is taking longer than planned. 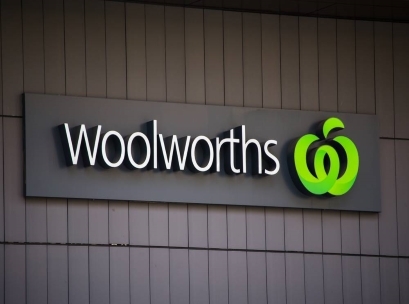 We understand the impact that the store and DC closures will have on our team and will endeavour to provide affected team members with alternative employment options within the Woolworths Group where possible,” Brad Banducci, Woolworths Group CEO said. “This decision will lead to a more robust and sustainable store and DC network that better reflects the rapidly changing retail environment. It will accelerate our turnaround plan through a more profitable store network, simplifying current business processes, improving stock flow and lowering inventory,” he added. Coca-Cola is further diversifying its legacy brands, with the launch this month of its first Coca-Cola branded energy drink in Europe. The beverage giant created Coca-Cola Energy with caffeine from naturally-derived sources, guarana extracts and B vitamins. The drink contains 80 mg of caffeine in a 250 mL can, roughly equivalent to that in a double shot of espresso, and significantly higher than the 24mg of caffeine in a can of standard Coca-Cola. The drink does not contain taurine – an amino acid often added to energy drinks. “Coca-Cola Energy includes ingredients from naturally-derived sources and a delicious and refreshing taste of Coca-Cola,” says Javier Meza, global chief marketing officer, sparkling business, The Coca-Cola Company. The drink, which is designed primarily for young adults aged 18 to 35, will be available in 250-ml cans with a no-sugar option also available. Coca-Cola Energy will debut in Spain and Hungary, with plans to expand into additional markets in the future. 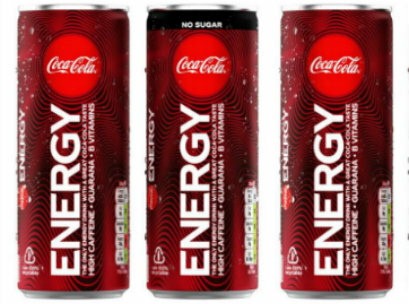 The energy drink is part of Coca-Cola’s plans to diversify its legacy brands and expand its total beverage portfolio. The soft drinks giant has expanded its portfolio in recent years to include organic teas, juices, enhanced waters, ready-to-drink coffees, as well as new variants of Coca-Cola. ANZ brewer, Lion, has bought UK craft brewer, Magic Rock Brewing Company, which is based in Huddersfield, Yorkshire. The craft brewer, which has 45 employees, plans to expand the team to meet rising demand in the domestic market by focusing in pubs and supermarkets. Magic Rock exports to more than 25 countries worldwide and eyes growth opportunities outside the UK with the support of Lion. Magic Rock co-founder and managing director Richard Burhouse will remain involved within the business. “With the support of the beer community, in eight years Magic Rock has become one of the UK’s leading craft brewers, distributing across the UK, as well as internationally. The best way for us to build on this legacy over the long term is to introduce Magic Rock beers to a much wider audience. We’re excited to be joining one of the world’s best brewing experts under the shared promise to keep making great beer, on a bigger scale, through their knowledge, expertise and investment,” Burhouse said. “Magic Rock has been one the pioneers in the UK craft beer scene and has built a loyal following due to its relentless pursuit of authenticity and quality. We’re excited to have the opportunity to help Richard and the team build on their success. Lion has a long and proud history in craft beer in Australia and New Zealand and we see some great opportunities to help put Magic Rock into the hands of more beer lovers,” Lion Global Markets managing director, Matt Tapper, said. Magic Rock was founded by Burhouse and head brewer Stuart Ross in 2011. The modern UK craft market is one of the world’s fastest growing globally in volume terms. It currently represents around a 6 per cent share of UK beer volume and 5 per cent share of global craft beer volume. Lion is already an active player in the UK and Europe with its Australian brands including Little Creatures and Panhead brands as well as New Zealand’s wines. The ANZ business said it will support Magic Rock to fuel its next phase of growth, by building its distinctive brand and enhancing the Magic Rock hospitality experience. “Lion is continuing to take a patient, long-term approach to capital investment in international markets to meet the demand for diverse craft beer experiences. 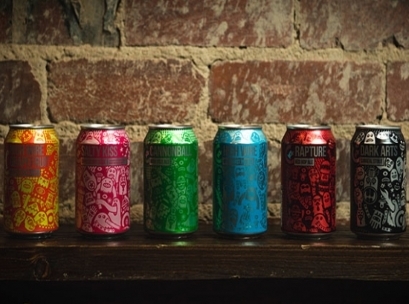 The UK continues to be one of the most exciting places in the world to experience craft – and given its cultural similarities to Australia and New Zealand, now is a great time to partner with Magic Rock to invest in building their premium brands and to expand Lion’s presence in that market,” Tapper added. 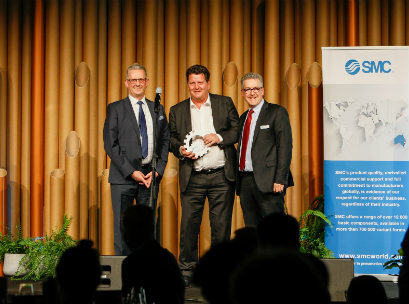 The Australian Packaging and Processing Machinery Association (APPMA) Awards of Excellence were held on Wednesday, alongside Auspack 2019, with a host of industry leaders honoured on the night. Foodmach was a big winner, taking the award for best new product for its GEA Vipoll ALL IN ONE Filler and Foodmach for Dulux Merrifield took the Customer Collaboration award for its Turnkey Filling Lines. Sustainability was a big focus with Proseal Australia recognised for reducing plastic in packaging. “Our event tonight was a showcase of sustainability. The innovations and dedication highlighted at this Gala Award Ceremony show that the entire Australian packaging and processing industry has a viable, sustainable long–term future,” said APPMA Chairman Mark Dingle. HMPS took the award for design innovation for the Compact Frame, and the company also took the Export Success Award for the Robotic Unloading Cell. “Congratulations to both Foodmach and HMPS. This is a great result for both businesses and to win multiple awards like this is a wonderful testament to your efforts,” Dingley said. The 2019 APPMA Scholarship winner was Janell Siek. The Award Ceremony was held in the Sovereign Room at the Melbourne Convention and Exhibition Centre alongside AUSPACK 2019 and as part of Packaging and Processing Week. 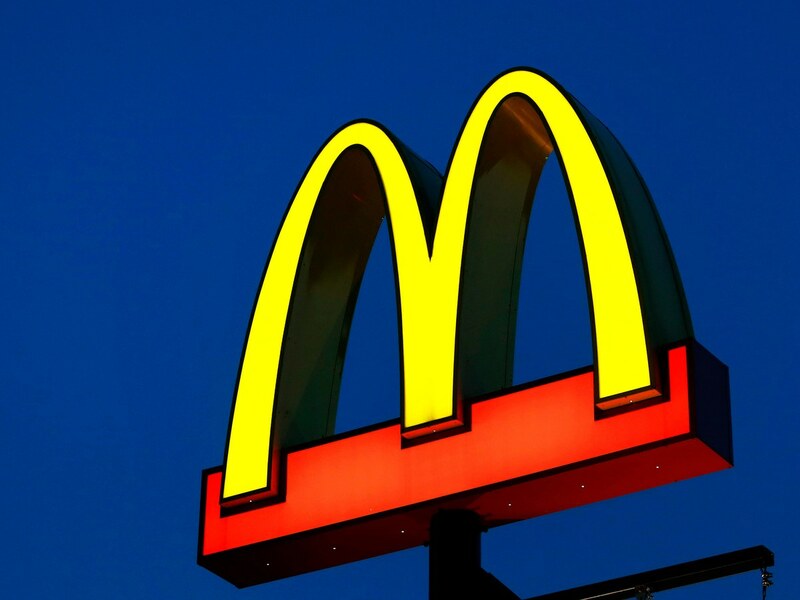 Mention Mc'Donalds to someone today, and they're more likely to think about Big Mac than Big Data. But that could soon change: The fast-food giant has embraced machine learning, in a fittingly super-sized way. As for what form that might ultimately take, Easterbrook raises a handful of possibilities. McDonald’s already uses geoforcing around its stores to know when a mobile app customer is approaching and prepare their order accordingly. Easterbrook suggests you could extend that, in a strictly opt-in capacity, to the smartphone itself, using a sort of beacon technology. Or, he says, license plate recognition could let the system identify a specific customer as they approach, and adjust the digital menu accordingly based on their purchase history. Under the agreement, which was announced on Tuesday after more than 18 months of negotiations, Coles will launch a new website and build two highly automated fulfilment centres in Melbourne and Sydney at a cost of as much as $150 million. The centres, which will each have about 1000 robots moving orders around, are expected to start operating in four years. Each will be able to handle products worth between $500 million and $750 million a year. Ocado, an online food retailer which is transforming itself into a global digital technology company, will install and maintain equipment in the fulfilment centres and provide Coles with its smart platform technology, including an online grocery platform, automated single-pick fulfilment technology and home-delivery solutions. Coles has entered an agreement with British online supermarket Ocado to bring its grocery platform to Australia, in what will be a major shift to its digital offering. boost Coles' online sales by about $1 billion, double its home-delivery capacity and lead to improved profit margins for Coles Online, which barely breaks even. "The reason we entered this deal with Ocado – at the half-year results we said that whilst Coles Online was growing fast at about 30 per cent and about to break even for the first time, the growth was diluting our overall margin and we would be looking for technology and automation solutions to improve efficiency and drive profitability," Mr Cain told The Australian Financial Review. "When we looked at doing this ourselves, we believed it would have taken longer and cost more money and there would have been a high degree of uncertainty that it worked as well as Ocado do now," he said. "We're confident this will be a long-term relationship that's rewarding for both companies." Analysts and investors welcomed the move, sending Coles shares up 2.2 per cent to $11.96 at Tuesday's close. investment," said Macquarie Equities analyst Rob Freeman. "But the competitive edge will remain to be seen." Coles Online generates annual sales of $1 billion and represents about 3 per cent of the retailer's supermarket sales. 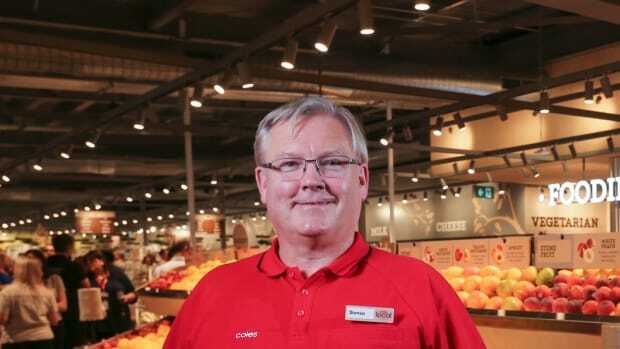 Coles' online business is slightly smaller than Woolworths', which accounts for about 45 per cent of online grocery sales, but Mr Cain said that over time the partnership with Ocado would help Coles become market leader. Both supermarket retailers have invested heavily in digital development and data to protect their market share as sales shift online and as Amazon ramps up its food and grocery offerings in Australia. However, those investments have dragged on margins. Mr Cain said the Ocado partnership would enable Coles to deliver a best-in-class customer experience underpinned by a wider range, improved product availability and freshness, better pick accuracy, a significantly enhanced online capability at a lower cost to serve, and more regular delivery windows. Coles currently picks online orders from its 1000-odd supermarkets and a handful of "dark" stores. It uses its own fleet of about 650 drivers to deliver online orders. Customers can also collect online orders from more than 1000 supermarkets and Coles Express stores. When the fulfilment centres are built, Coles expects productivity to improve five-fold and delivery times and costs to fall. The additional capital expenditure is in addition to the $950 million Coles will spend over the next five years building two automated distribution centres to replace vive warehouses. But Mr Cain said the extra capex would not affect Coles' guidance to distribute 80 to 90 per cent of profits as dividends this year. "We would have been investing in advancing our online offer in any event, so some of this is substitute capex – we believe it's the best way to spend our money," he said. While the terms of the deal were not disclosed, it is understood Coles will pay ongoing royalties or fees to Ocado based on its usage of Ocado's operating modules. 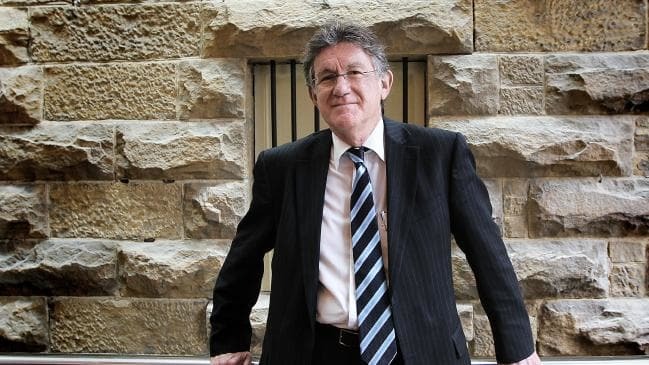 "From a modelling perspective, I'd be working on $1 billion of extra sales at a margin between zero and 4 per cent in terms of a range of outcomes," Mr Cain told analysts. Ocado chief executive Tim Steiner said the agreement would reshape the food retail landscape in Australia by delivering a step-change in productivity. He was confident Coles could achieve similar performance benchmarks in Australia as Ocado did overseas, including 99 per cent pick accuracy and 95 per cent on-time deliveries, despite lower population density. The agreement comes a month after Ocado ended a long-term relationship with upmarket UK food retailer Waitrose in favour of an online grocery joint venture with Marks & Spencer. Ocado is estimated to account for about 1.3 per cent of Britain’s total grocery market but almost 20 per cent of the online market, due mainly to its previous partnership with Waitrose. Founded by three former Goldman Sachs bankers almost 20 years ago, Ocado struggled for years to make a profit but is turning around after striking deals with retailers such as Kroger in the United States and Casino in France and shifting from being a pure-play online retailer to technology provider. Australia's online grocery penetration is about 3 per cent, compared with 7 to 8 per cent in the UK. 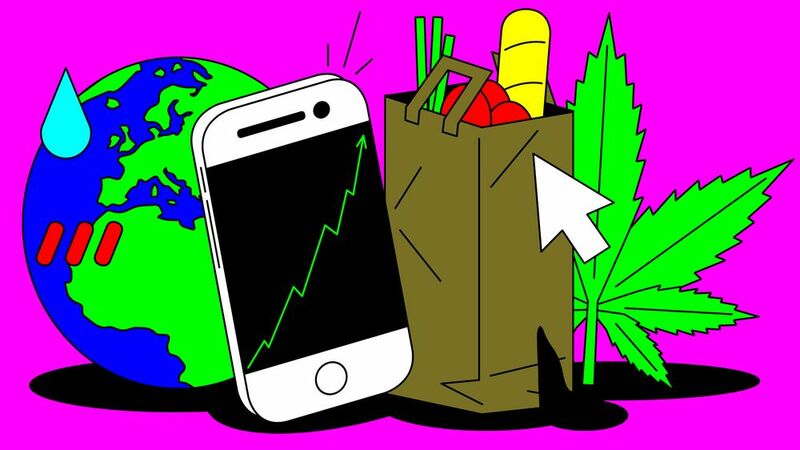 According to IBISWorld, online grocery sales are expected to grow about 22 per cent to $3.3 billion this year – 10 times faster than sales in bricks-and-mortar grocery stores. While online penetration in Australia is low, Roy Morgan research suggests more than five million Australians or 31 per cent of grocery buyers would consider buying groceries online in the next year. "The market is there for the taking, however thus far consumers haven't been convinced by the online grocery services on offer," said Roy Morgan chief executive Michele Levine. Supply constraints are looming for high-end red wines from one of Australia's most prestigious regions, with this year's yields from the Barossa Valley grape harvest the lowest in a decade. Treasury Wine Estates, which produces the big-selling Penfolds brand, is one group that sources large amounts of premium grapes from the Barossa. Its flagship Penfolds Grange uses a substantial component from Barossa old-growth vineyards, although the company jealously guards the exact make-up, while premium labels such as Penfolds Bin 389 and Bin 28 also rely heavily on Barossa grapes. The top red wines made from the sharply lower 2019 vintage in the Barossa are scheduled to appear in the retail market from 2022, with Grange a year later. Viticulture experts say the harvest, which is in its final stages, could be between 40 per cent and 50 per cent down on last year's Barossa vintage of 78,000 tonnes. However, Treasury is sitting on almost $1.2 billion in luxury wine inventory across the company and has been holding this back in its own cellars as part of a steadier approach to prestige wine sales instituted by chief executive Mike Clarke. The company argues it has a multi-regional sourcing strategy that will help offset the lower intake. Barossa Grape & Wine Association viticulture development officer Nicki Robins said the harvest was in its final days, an exceptionally early finish. "It will be the lowest-yielding vintage in the last decade. There's not much anyone can do about frost and hail," she said. While it was a very high-quality vintage, there would be limited volumes available following a string of adverse weather events, including a dry winter last year, frosts on September 29 and November 8, a hailstorm on November 22 and searing heat in January and February. "All those things in combination mean the volumes just weren't there. Most picking on the Barossa Valley floor should be finished by the end of this week,'' she said. Grape-picking often stretched to mid-April. Treasury's large Wolf Blass winery is just outside Nuriootpa in the Barossa. 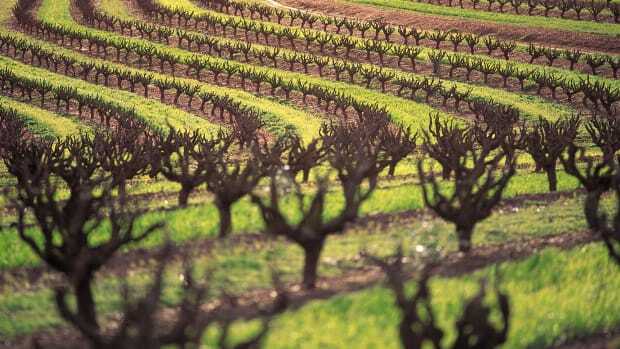 Treasury also sources grapes from the Limestone Coast region in south-eastern South Australia near Robe. Ulrich Grey-Smith, executive officer for the local industry association in that region, the Limestone Coast Grape & Wine Council, said the area had escaped weather extremes and frosts. "I think we've got a solid year,'' Mr Grey-Smith said. He said it was too early to specific about quantities. A Treasury spokeswoman said the company had a ''multi-region sourcing model which means we have diversity to deal with varying conditions''. "We are still feeling really good about the overall vintage in Australia. While some regions might be below prior year’s vintage, there are other regions for us that are well above the prior year vintage,'' she said. Ms Robins said the high-end shiraz and cabernet sauvignon for which the Barossa was best known had excellent colour and very intense flavours, but the quantities would be slim. Under Mr Clarke, Treasury has expanded the reach of Penfolds in a big brand extension, shifting it away from its South Australian origins. The company has transported winemaking staff from Australia to oversee a Californian version from the Napa Valley under the Penfolds label, and plans to make a French champagne using the Penfolds brand. Treasury is also using the Penfolds brand on a drink called Lot 518, a fortified shiraz infused with Baijiu, a clear spirit that is hugely popular in China. 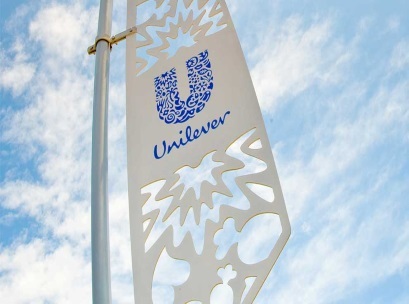 In the FMCG space, like any other industry, success and profit are inextricably linked. But what if, all that profit was taken away from the business? By choice? Melbourne-based social enterprise Thankyou is a recognisable brand for many, not least because of its distinct packaging but furthermore for its mission to alleviate poverty around the world. Thankyou donates 100 per cent of its profits to those in need specifically delivering clean water, sanitation and hygiene training to people in developing countries. A massive challenge, no doubt, but one that has seen the social entreprise raise over $6 million in the last ten years to help end global poverty in 20 countries, including Australia. Thankyou co-founder Daniel Flynn spoke to Inside FMCG about changing mindsets and the power of consumer support. The idea for the business goes back over ten years ago, when Daniel was following the impact of the world water crisis online and started to imagine how he would cope in a similar situation. “I’d seen some videos online that really moved me,” Daniel says. That was the catalyst for Thankyou, an idea dreamt up by Daniel, his best mate Jarryd, and girlfriend (now wife) Justine, that the sale of everyday consumer products could provide a channel of funding to those in need. But how does a business keep going, when it’s giving all the benefit away? Daniel says it comes back to mission and vision. That drive was something that the whole team needed to stay motivated in the five years that Thankyou tried desperately to break into Australia’s biggest supermarkets. Thankyou decided to leverage its small consumer base on social media to get the big players on side. In year three, two weeks ahead of Thankyou’s meeting with convenience chain 7-Eleven about its water product, the team asked followers to jump on 7-Eleven’s social media pages to tell them that they would buy the product. With big retailers onboard, Thankyou has been expanding its range as well as its reach. Its personal care range has been its standout performer, making up about 70 per cent of the business but the company also continues its water range and expanded into baby care. While it dabbled in food for a time, the team decided to refocus efforts on better performing categories. Social media made it possible to create the groundswell of consumer support for Thankyou in a short space of time and get the big supermarkets onboard, but a change in consumer attitudes towards FMCG products has also helped the company. Daniel says it’s time for companies to start asking questions: Why is it like that? What if there is a different way?